The best answer is: it depends where you are, and what priced homes you are trying to sell. The national real estate market. According to our trade association, the National Association of REALTORS®, real estate agents and our clients can expect a “Tougher Road Ahead for Home Buyers and Sellers” in 2019. 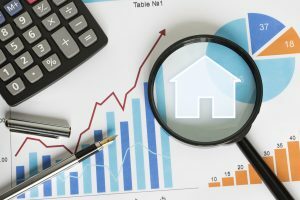 Their recent report predicted, “The 2019 housing market will see modest inventory gains, but with mortgage rates expected to hit 5.5 percent by the end of the year, [they’re already there!] monthly mortgage payments will rise 8 percent putting home ownership more out of reach especially for younger Gen-Z, Millennial, and other first-time home buyers. Upscale homes in high-growth markets, however, will provide more opportunities for buyers.” Take that last sentence to mean that luxury homes will take longer to sell and prices will likely have to drop below what their sellers had hoped for. Mortgage rates have gone up. A year ago they were close to 4%; today they are more like 5½%, making it harder for people to qualify for those higher payments. Stock market uncertainty. Many investors have seen their savings and investment portfolios go through wild swings in the past six months, sometimes wiping tens of thousands of dollars out of their nest egg in a single week. Thus, many people who may have considered moving up to a bigger home will now stay on the sidelines. Demographic shifts. Today’s Millennials have not shown the same aspiration for home ownership being part of the American Dream as their parents did. Many of them would rather rent and have the flexibility to move jobs or spend money on travel. Rising mortgage rates will narrow the market for some first-time homebuyers. The homes that have been selling well have been low- to mid-price properties. It’s hard to put a sale price on that because we cover such a wide area. But if you think of condominiums in the $150-and up, townhouses in the $200s, and detached single family homes in the $275,000-$375,000 range, you’ll get the idea of what I’m describing. Those properties are selling quite quickly, and I expect them to continue to do so throughout 2019. Luxury homes? Not so much! The market in South Jersey will likely tighten even more for homes priced above $600,000, and the higher-priced the home, the tougher the market is going to be. There are luxury homes that sold in 2018 for $850,000 after languishing on the market for over a year and which were listed at more than $1 million. When those home owners get their tax returns back from their accountants this winter and see that the Trump tax cuts have cut their $24,000 property tax deduction to $10,000, and has cut their interest payment deduction by 50, 60, or 70%, many will want to unload their mansion homes. Yet since the market is already very slow for upper-priced homes, all that new inventory will put even more downward pressure on prices. Should I still pursue a career in real estate? Absolutely! Just be realistic. If your main motivation is that you saw Million Dollar Listing on TV and drooled at the thought of showing buyers three homes and then walking away with a $200,000 commission check when they bought an $8 million mansion, maybe you should reconsider! The homeowner died and the estate needed to sell the decedent’s home. All of those reasons will still exist in 2019. So if you are considering getting your New Jersey real estate license, talk to us! Garden State Real Estate Academy has pre-licensing classes at flexible times: daytime, part-time, and in the evenings. We’d love to help you make 2019 a banner year for your own income in your new real estate career!